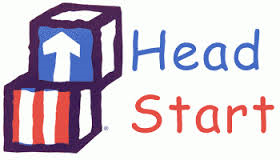 Head Start is a federally funded, Early Childhood Program serving America's children and families. Head Start focuses on children ages 3-5 and promotes growth and well-being in the areas of early learning, health and family services. Through collaborating with parents and the community, Head Start assists children with their cognitive and social/emotional development in preparing Preschoolers for Kindergarten, while family service workers assist families in developing sustainability in providing for their family. Please click on the picture below for more information on how to complete an application for this program.